Tags: Ben Sulsky, high stakes. Posted on Wednesday, March 21, 2018 by "T". On March 19, 2018 Monday, the poker player who won the lion's share from PokerStars high stakes tables was American legend Ben "Sauce123" Sulsky, who went home with a payout of $90,770! Sulsky won the money after beating the heck out of Swedish poker pro BERRI SWEET from a heads-up $100/$200 PLO match. The two clashed at three-tables simultaneously for 2 hours 40 minutes, which started late morning until the early afternoon the next day. The first hour passed by with BERRI SWEET managing to secure a $45,000 lead but as the US pro successfully took down many of the day's biggest pots, Sulsky's stack had continued to climb up as the match went on. 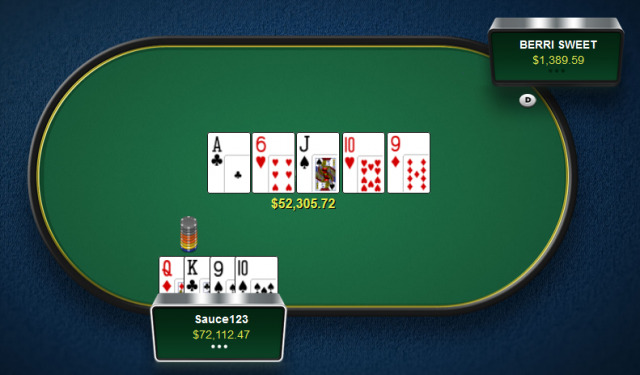 Sulsky's biggest pot of the day was when he got paid off on the river, a sweet $52,300 pot! Daniel Cates Wins PokerStars' All-Star Showdown! 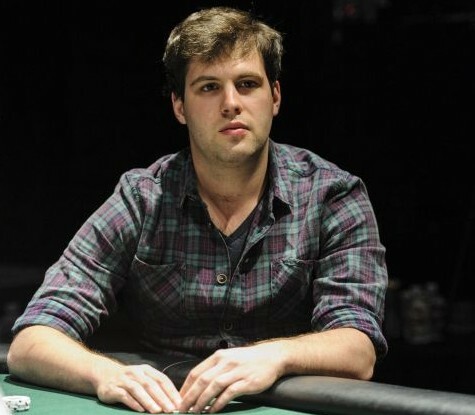 7 comments for "Ben Sulsky wins $90,770 Online at PokerStars High Stakes Tables"
a lot of money won by this professional American poker player Benjamin Sulsky in a short period of time. I do not understand how she resists playing heads up many hours at 3 consecutive tables. I would not resist and i would be making mistakes which will surely lead to my ruin. I remember that this another one very talented poker player Ben Sulsky had already won a huge sum of money this January at 8-game tables. Now he proves again his skill to everybody, now at PLO tables. Nice! Well done to Ben Sulsky on winning a good amount of money in just 3 sessions. I have tried Pot Limit Omaha and found it very fascinating. PLO is much more complicated than No Limit Hold'em I regularly play. I still occasionally misread my hand and/or the board. He was not played consecutive tables CALICUL, he played SIMULTANEOUS!!! My God, what he have to do for this concentration level? Meditation? Yoga? or only a ton of pills? What do you think, CALICUL, they will know that here in the botton of planet earth are people that they gets anxious by playing $ 0,10 S&G? People who cry of happines when they win a prize of a couple of hundred dollars? He an others pro, will can touch earth sometimes? or they only float of clouds of money to another clouds of money? yes maragatero, simultaneous but at that level they have more time to think. The problem is like in real life. Some people have a lot of money and others if they win a few hundred dollars in a short time with his job are very happy. Some people earn 500 dollars in a few hours another wins 500-1000 dollars in one month. The same in poker. Big players are big players and for others it is very difficult to win few hundred dolars. This is the situation and we can not be equal.